A mighty tree can grow from a little seed. Just take the right environment, add a little bit of soil, water and fertilizer, and it will start to sprout. 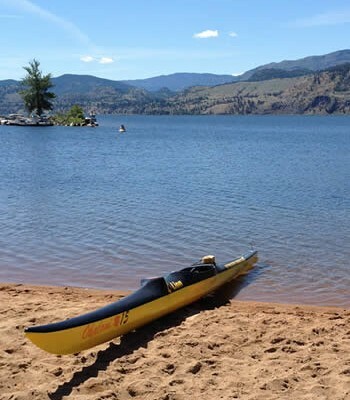 In this case, the seed was provided by the Okanagan Basin Water Board, in the form of a grant of $15,000. 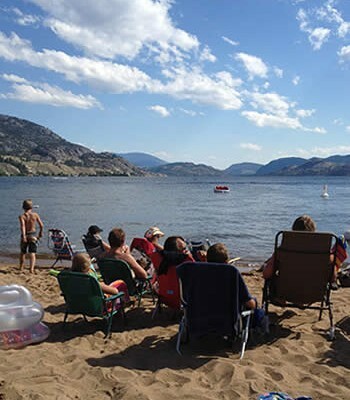 That was planted in soil tended for several generations and many decades by the Weddell family along Joe Rich Creek; nurtured by the Central Okanagan Regional District, and fertilized by the Black Mountain Irrigation District, B.C. 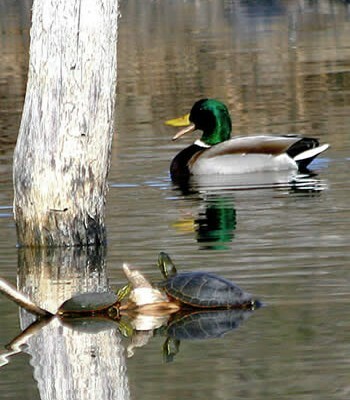 Cattlemen’s Association, Kelowna’s environment division, Ducks Unlimited, the environment and agriculture ministries. 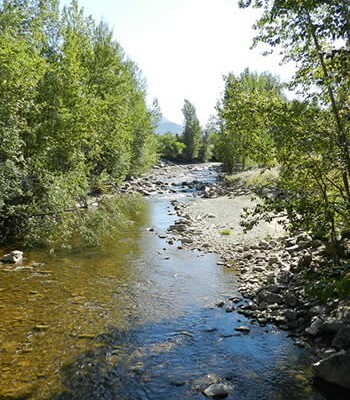 In consultation with the ministries of forests and range and transportation, and after years of study, planning and discussion, the regional district coordinated the project this summer, and proudly showed off the completed Joe Rich stream restoration Tuesday. 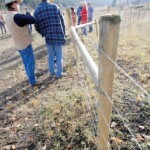 After five years of applications for funding to help get a project off the ground, Brent Magnan, environmental planner with CORD, said it was the OBWB grant that triggered funding from a number of other agencies, particularly the Farmland Riparian Interface Stewardship and Environmental Farm Plan programs. 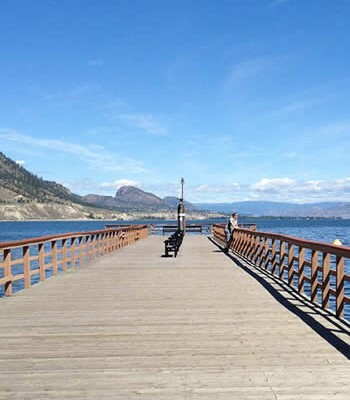 He’d like to see the incredible cooperation that led to the completion of this project, serve as a model in other areas of the regional district. “We had limited money, but with lots of partnerships, we were able to make it go a long way,” he said. 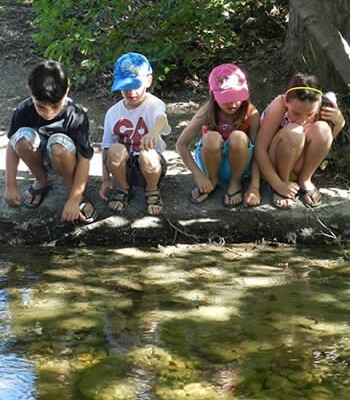 As a result, water quality in the creek, which is a spawning ground for rainbow trout as well as the source of water for BMID users, is expected to improve substantially. 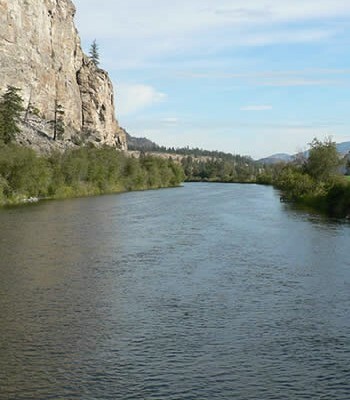 Magnan explained that high water in 1997 caused considerable bank erosion which resulted in a degradation of water quality downstream. Joe Rich Creek is a major tributary to Mission Creek, and is used by fish and wildlife as well as people. 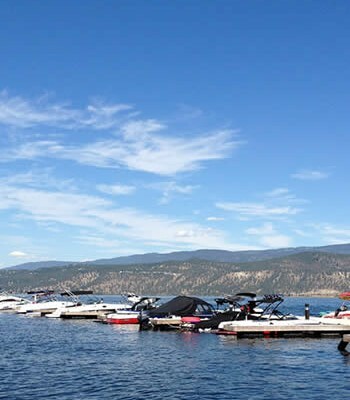 It is the largest single contributor to the Okanagan Lake system. A watershed assessment was completed some years later which indicated this section of the creek was a top priority for restoration. Today, nearly two kilometres of streamside have been fenced along both sides, with nearly five kilometres of fencing, protecting the 1,500 native cottonwood, willow, fir and the grasses which have been planted to create a riparian forest along the creek. It will ultimately provide bank stabilization and shade to improve the creek’s habitat for fish as well as the quality of the water. In the meantime, the fencing will prevent livestock from accessing the creek except in a couple of restricted areas, for drinking water. A big issue over the years has been destruction of riparian vegetation by cattle which have also eroded the banks with their hooves and wallowed in the creek itself, affecting downstream water quality. Pete Spencer with the B.C. Cattlemen’s Association says one of the most difficult issues was where to locate the fence, so in places it’s far enough from the stream bank that the property owners can cut hay between the fence and bank, and in others it’s closer to the stream. “We wanted to be able to create meaningful riparian areas, but we didn’t want to take too much property from the landowners,” he said. As it is, he pointed out, they’ve lost five to seven hectares of usable land to this riparian protection. However, they still own the land. There’s no covenant protecting the riparian area. It’s all by “gentleman’s agreement,” he says, and that only applies to the current owner. In addition to the fencing and planting, 50 truckloads of rock for riprap were brought in and installed to protect the banks of the stream from future erosion and riffles have been installed to slow down the stream and reduce erosion.